Begur is a little way back from the coast and stands on a gigantic geological mass that drops perpendicularly down to the sea. From this hill you have a magnificent view of the nearby seaside resorts of Calella de Palafrugell and Estartit and, further away, you can see the coast of the Costa Brava. Inland, Begur neighbours Palafrugell and Pals, which are located just in front of the mountain. 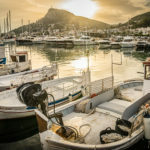 On the rocks, Begur is dominated by a castle overlooking the Gulf of Roses, the Medes Islands, and other small villages. With its Mediterranean climate and an average summer temperature of 26 degrees, Begur guarantees 200 days of sunshine per year. 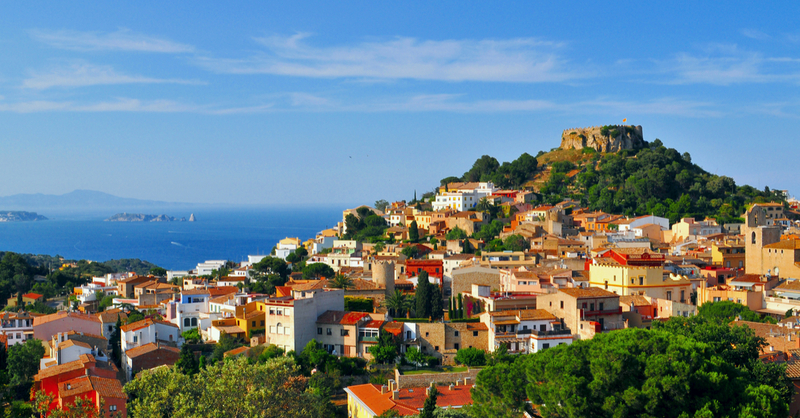 Begur is situated in the centre of the Costa Brava and is easily accessible. Girona airport is only 45 kilometres from Begur, while Barcelona airport is 142 kilometres away. – From the spectacular cliff top of Cabo de Begur, the view of the coastline is breathtaking. The dense pine tree vegetation forms a green decoration against the backdrop of creeks and narrow bays. The narrowest bay, Fornells in the south of Begur, has a small, elegant marina with crystal-clear water, where you can dive at will. 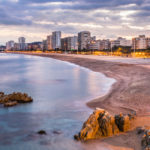 – Aiguablava with its sandy beaches, is known for its calm and limpid water, and is surrounded by untamed nature. This bay in Begur also has a small port and the famous Parador Nacional de Aiguablava. 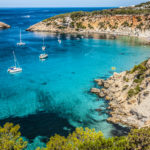 – Further north of Begur you arrive at Cala de Sa Tuna, which enters the country like a fjord. This heavenly bay is the favoured visiting place of many painters. Sa Tuna has long been a popular mooring place for fishing and leisure boats. In addition to a few small houses, you will also find a fortification here dating back to the 16th century. The beach offers different facilities so that visitors can fully enjoy the holiday atmosphere. 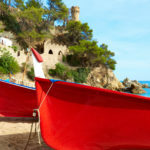 – Begur’s largest northern beach is Playa Sa Riera. Despite the many tourist facilities, this old fishing village has been able to keep its traditional character. 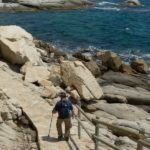 – From Sa Riera beach, a path runs along the coast. Following this path you arrive at Isla Roja, a secluded and quiet beach, a favoured haunt of nudists. 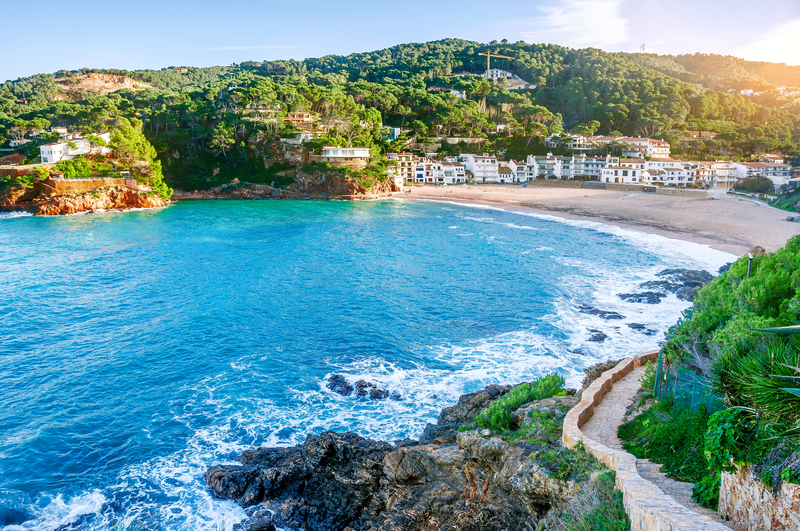 This beautiful beach of Begur is a small red rocky island that gave its name to the cave. Begur has a beautiful coastline. Here, Sa Riera beach. When people think of the town of Begur, the most characteristic image that comes to mind is a feudal castle dating from the 17th century, which was built on the ruins of a mediaeval citadel destroyed in 1465 by Napoleon I’s troops. A stroll to the castle will be rewarded with a superb view of the Medes islands, the Gulf of Rose and the natural surrounding beauty. The urban landscape is characterised by beautiful narrow streets that lead from the San Esteve church to the centre. Five towers bear witness to the Moorish period and the pirates. Some old houses are testimonies of Begur as a former fishing village. In the centre of Begur there are also traces of Indian architecture dating back to the 19th century. Take a night stroll in the city of Begur on a summer evening and discover the hospitality of its inhabitants, the many markets, the rich traditions and cultural dances, and the charm of this village. Are you one of those romantic souls looking for an idyllic holiday destination, surrounded by bays and picturesque beaches? Stay in a beautiful villa with private pool in Begur. All of our range of villas for your holiday in Begur!